As drug-related deaths rise to record numbers, at least a dozen U.S. cities are considering opening supervised injection sites, where people can use illicit drugs with trained staff present, ready to respond in case of an overdose. The future of such proposals in the U.S. is uncertain. A California bill that would greenlight a pilot injection site in San Francisco awaits the governor's signature, but a representative of the Justice Department vowed to crack down on any such site in recent public statements. Critics say supervised injection sites encourage drug use and bring crime to surrounding communities. Proponents argue that they save lives and can help people in addiction reconnect with society and get health services. Out with the dark alley, fear and shame, they say, in with a safe space, clean injection supplies, care and compassion. It's an approach that falls under the umbrella of harm reduction, a public health philosophy that emphasizes lessening the harms of drug use. But what does evidence say? If the policy goal is to save lives and eventually curb opioid addiction, do these sites work? It's a tricky question to answer, although many of these sites have been studied for years. At least 100 supervised injection sites operate around the world, mainly in Europe, Canada and Australia. Typically, drug users come in with their own drugs and are given clean needles and a clean, safe space to consume them. Staff are on hand with breathing masks and naloxone, the overdose antidote, and to provide safer injection advice and information about drug treatment and other health services. But most have grown out of community and grassroots efforts, according to Peter Davidson, a researcher specializing in harm reduction at the University of California San Diego who is researching an underground supervised injection site in the United States. They lack big budgets for comprehensive services or for conducting high level evaluations, he says. Still, he says the research – both "the grey" and the robust - point to the benefits, especially in preventing deaths among society's most vulnerable. No death has been reported in an injection site. A 2014 review of 75 studies concluded such places promote safer injection conditions, reduce overdoses and increase access to health services. Supervised injection sites were associated with less outdoor drug use, and they did not appear to have any negative impacts on crime or drug use. "If there had been unintended consequences, I suspect that would have been picked up by now," says Davidson. "It's reassuring." However, in another review of studies published in August in the International Journal of Drug Policy, the researchers, criminologists from the University of South Wales in the United Kingdom, found that the evidence for supervised injection is not as strong as previously thought. Only eight studies met the researchers' standards for high quality design. And of those, the findings on the effectiveness of supervised injection were uncertain, with no effect on overdose mortality or needle sharing. "Nobody should be looking at this literature making confident conclusions in either direction," says Keith Humphreys, an addiction researcher and psychiatry professor at Stanford University who wasn't involved in the study. Humphreys says he'd welcome better tools to address the drug crisis. He doesn't think the latest analysis points to supervised injection as being harmful, though. The real problem is, the analysis found there just are not a lot of good studies, period, on supervised injection. "They can't rule out no effect, they can't rule [in] an effect," he said. "So I think we should be pretty cautious." M-J Milloy, an epidemiologist with the British Columbia Centre on Substance Use and an associate editor of the International Drug Policy Journal which published the UK analysis, doesn't think this review reflects the evidence. "Their decision to exclude all but eight studies is in my view one of the methodological flaws," he says, adding that the analysis looked at measures beyond the scope of some of what individual studies set out to assess. Much of the existing research for the effects of supervised injection sites comes from two places: the Medically Supervised Injecting Centre in Sydney, Australia and Insite, a facility in Vancouver, which public health officials have operated and researched for 15 years. 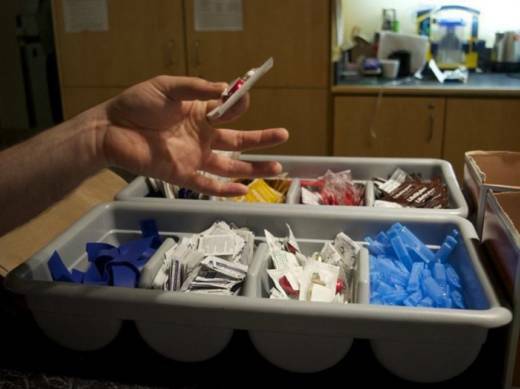 When Insite opened, supervised injection was contentious in Canada. After years of drug-user-led activism, the government approved it as a pilot, creating a place with wrap-around addiction services under the same roof, and mandated scientific evaluations on the impact from the start. Milloy, who is part of a team that researches Insite, says it points to the benefits of supervised injection. The research was observational, drawing from unique datasets. Since 1996, well before Insite, researchers had followed 1500 active drug users in the city as part of one of the largest long-term studies of drug users in North America. They then recruited 1,050 people at Insite, and followed them over time as well. Since opening in 2003, the facility has supervised more than 3.6 million injections and responded to more than 6,000 overdoses. No one has ever died there. They found no signs of a so called "honey pot effect," at Insite, meaning it didn't increase or encourage drug use. In a study published in Lancet, and included in the most recent review of evidence by criminologists, Milloy and other researchers found that the fatal overdose rate sharply decreased in and around the immediate area of the site. Additional evaluations from Milloy's group and the regional health ministry found that Insite averted about 50 deaths in the first three to four years of operation; that people were less likely to engage in behaviors that would lead to HIV infections; and, that those who used Insite were more likely to initiate detoxing from drugs and access treatment like methadone, compared to those who weren't using the facility. "That might seem odd to people. You know, you give someone a safer, cleaner, warmer drier place to inject and they end up going into addiction treatment," Milloy says. "It's a place where they can access healthcare, and where their exposure to an increasingly toxic drug supply can be managed and mitigated in an effective sense." 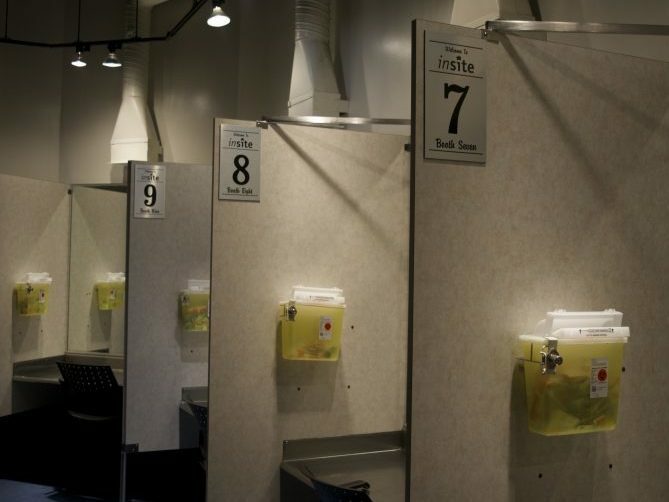 For people working in the field, the value of supervised injection facilities transcends the debate over death or crime statistics, because it offers something people who use drugs may not have experienced before: a non-judgmental place that accepts them for who they are. 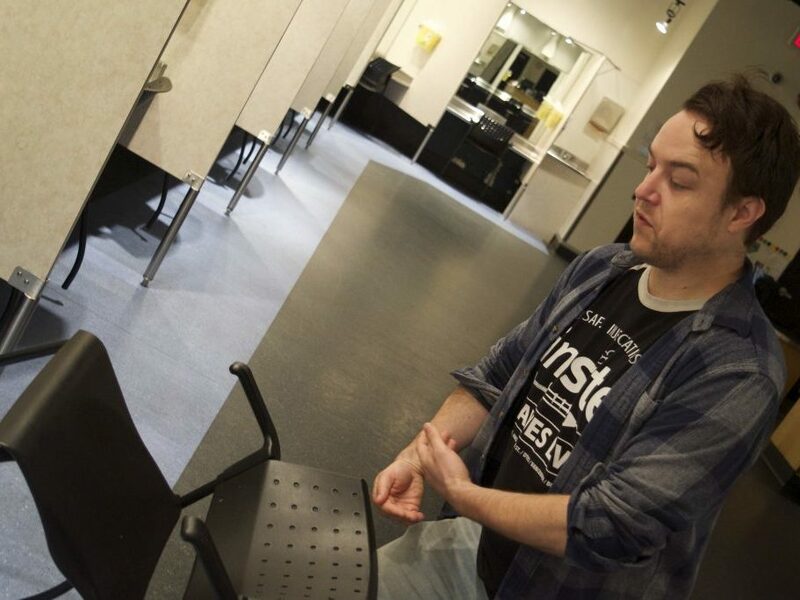 "It's about making a space where drug users are allowed to feel like people," says Darwin Fisher, Insite's longtime program coordinator. "We're also mindful that this is a respite from the street and at times it might be difficult for people to leave the only situation that feels vaguely safe for them in a day." Milloy concurs, describing Insite as "a place which is an official healthcare setting which is not judgmental, which does not stigmatize them for their drug use, and which accepts that they are people first and foremost." Milloy says studying supervised injection presents challenges. Early on, they considered setting up the gold standard for a study — a randomized trial — but that would mean separating a sample of drug users into two groups, one that gets access to Insight, and one that doesn't. He says denying a potentially life-saving service to some people seemed unethical. "It's the reason we chose the observational framework," he says. For Sharon Larson, a longtime public health researcher who recently reviewed the evidence on supervised injection and assessed their potential impact for the city of Philadelphia, questions still remain. Insite, she says "was a great pioneering start." It demonstrated making a difference for those who used the site. But, is it generalizable and directly replicable in other places? Larson, a professor at Thomas Jefferson University and director of the Main Line Health Center for Population Health Research at Lankenau Institute for Medical Research, concluded in a report that the science is still limited. In part, she says, that stems from the challenge of studying an illicit behavior. "I think it's a really hard population to count," she says. At a citywide level, it's hard to know the size of the actual baseline population of drug users. That leaves unanswered how many sites would be needed to have a broader community impact. Plus, where should they go? Who might benefit most from a site, and what's the most effective way to bring them in? Larson's models estimate a supervised injection site in Philadelphia could prevent dozens overdose deaths annually. "It does not give me pause about developing these injection sites," Larson says. "What it tells me is if we want to demonstrate that this is an effective strategy for harm reduction, one of many, that we ought to be very thoughtful about how we develop data to answer the important questions." Elana Gordon is 2018-19 Knight Science Journalism Fellow at MIT. You can follow her on twitter at @elana_gordon.